In the spring I posted some tips for going green with your scrapbooks, but it turns out that Earth Day lessons extend into the fall and beyond. Being eco-friendly applies all year long. Remember that before opening the new $5 sheet of fancy stickers you bought the other day. This post was inspired by an invitation I received to a clambake that took place last week. 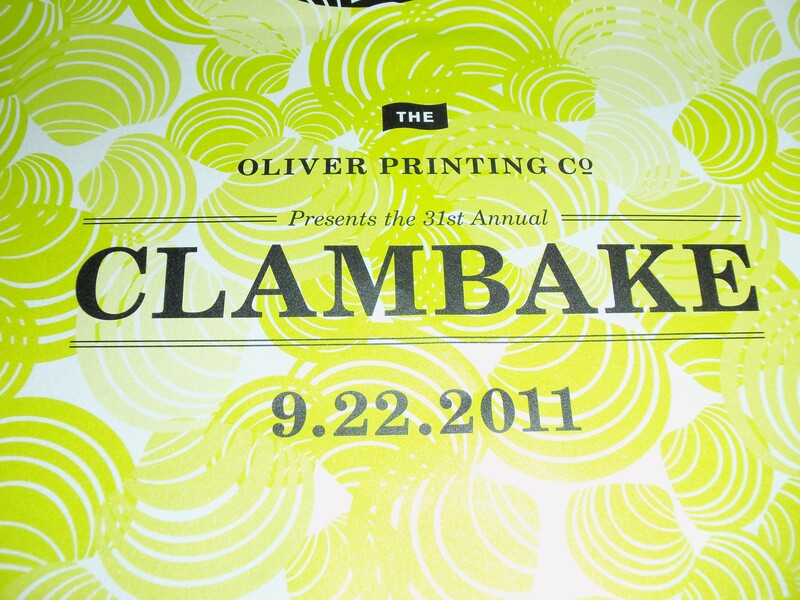 The printing company that prints materials for the communications department at Davey Tree, where I’m currently interning, hosts a clambake for its clients every year. The food was great, the weather was nice and it was great to spend some time with my co-workers, but the invitation certainly impressed me as well. I love the color combination, the design, the packaging–everything about it is visually appealing. The poster-sized invitation was delivered rolled up inside a 3-D pyramid box printed with the same design. Upon arrival to the event, we received a free T-shirt folded neatly inside a cute gift box–with the same design. I loved the coordination and presentation of the materials, so why not reuse them for something else? For now, the invitation hangs on our living room wall because quite clearly its a work of art. Maybe I’ll work on finding a frame for it at some point since masking tape isn’t the most respectable way to display such respectable masterpieces. And when life becomes less hectic (wishful thinking? 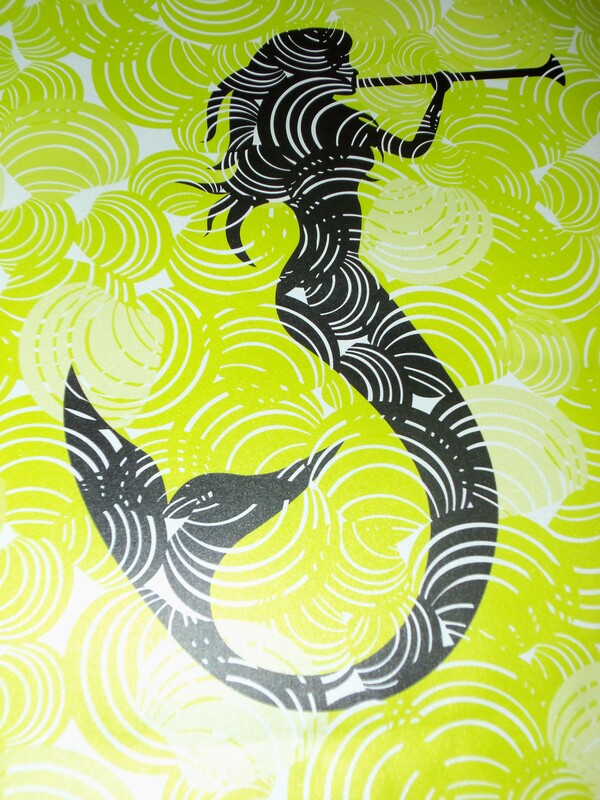 ), I’ll eventually get around to cropping the poster, gift box and invitation packaging to use in my books. 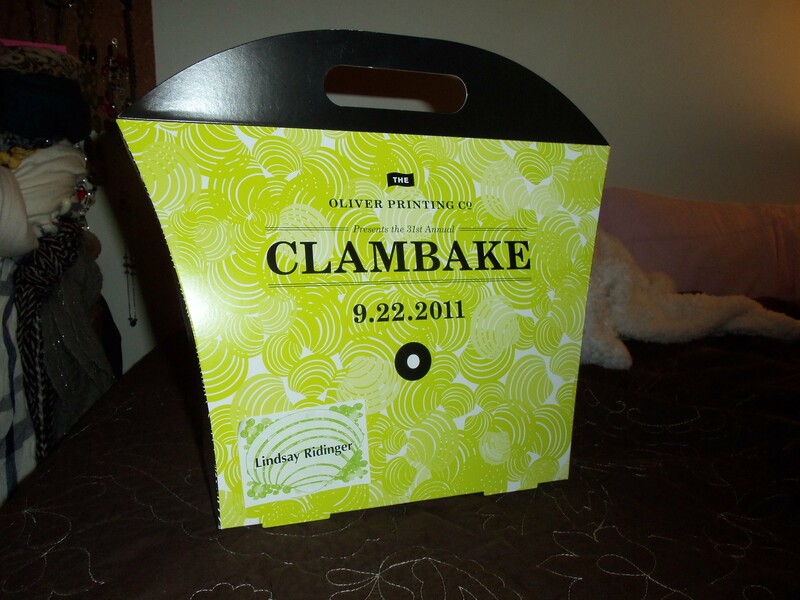 Now that I’ve dedicated an entire post to raving about how much I loved that clambake invitation, get out and find something that inspires you. The Benefit: Reusing materials in your books saves money in the long run. Avoid spending money on impulse embellishment purchases when browsing the aisles at the craft store. Instead, save your money to invest in a bigger purchase later on, such as a Cricut machine. Moral of the story: Keep an eye out for materials you can reuse. Wherever you go. Enhance your layouts with items that may have been forgotten otherwise. It’s not only admirable to reuse items for the sake of saving the environment but also for the sake of your creativity. The possibilities are endless. Highlights from spending time with a lot of my favorites during this holiday break.